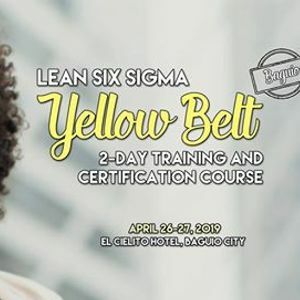 Create a Clear Vision in Your Career and Be a Lean Six Sigma Yellow Belt Practitioner in Baguio City this March 2019! Register now and get exclusive offers! Our 10% Early Bird Discount is up until March 29, 2019 and our 5% Saved by the Bell Discount is up until April 11, 2019. 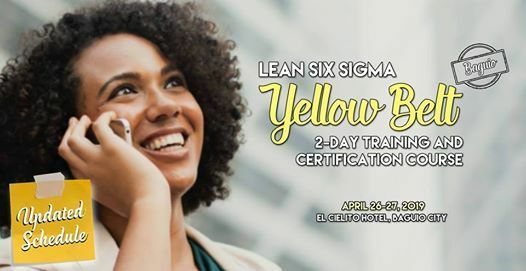 The Lean Six Sigma Yellow Belt training is a 16-hour course focusing on the fundamental knowledge and skills necessary to identify and execute 6 sigma projects with the use of its principles, practices, tools, and approaches that will result to operational excellence. One of the primary aims of the program is to enable the participant to start up a LSS project in their respective organizations after course completion. The course is completely participative in nature that will incorporate discussions, classroom instruction, and workshop exercises. You may register at https://bit.ly/2Qnx8B0 or visit our website at https://bit.ly/2c89wjW for more info. For faster assistance, make sure to send us a message and type LSSYB Baguio + your email address, and we'll send you the details of this training. Six Sigma BELT Guru, Inc.